Cartoonist Stuart McMillen recently shared his comic Energy Slaves on The Fifth Estate, which looked at the human power needed to maintain our lifestyles. Now he has written a series of seven related essays on how we relate to energy in society, and how this may change, and need to change, in the future. What is the human equivalent of the energy our lifestyles require? 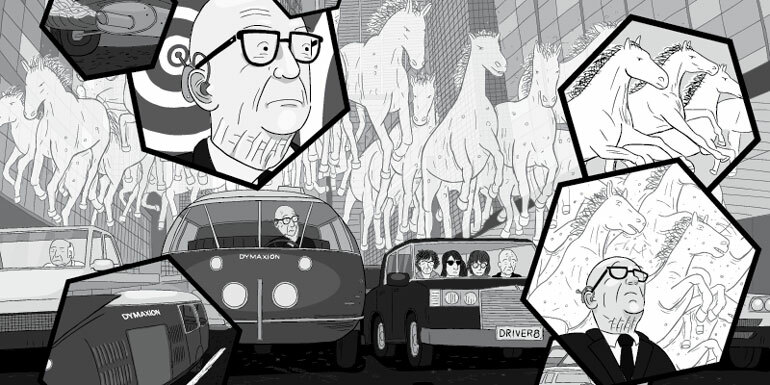 Australian cartoonist Stuart McMillen has published a comic about the insights of futurist Buckminster Fuller. Canberra-based science communicator Stuart McMillen regularly publishes non-fiction comics about social and environmental issues. 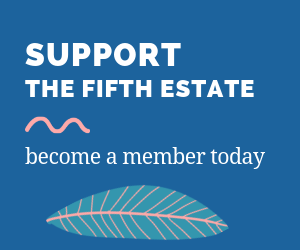 We have previously featured his work on The Fifth Estate, including his comics Peak Oil, St Matthew Island, and Hitler Denial. Energy Slaves is written from the perspective that all energy in our lives can be reverse-calculated to a human equivalent. 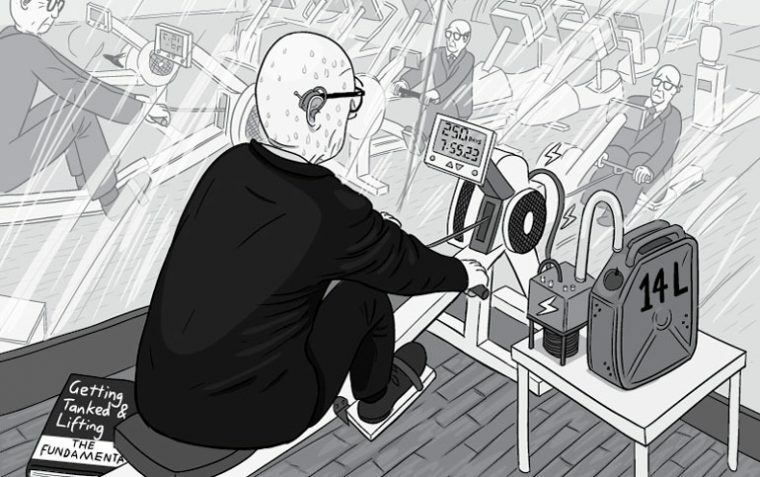 We can measure the amount of energy a person on a rowing machine (or exercise bike or treadmill) would generate across a year of 250 eight-hour shifts. McMillen’s comic reveals that one year of human effort is only equivalent to the energy stored in about 14 litres of petrol.